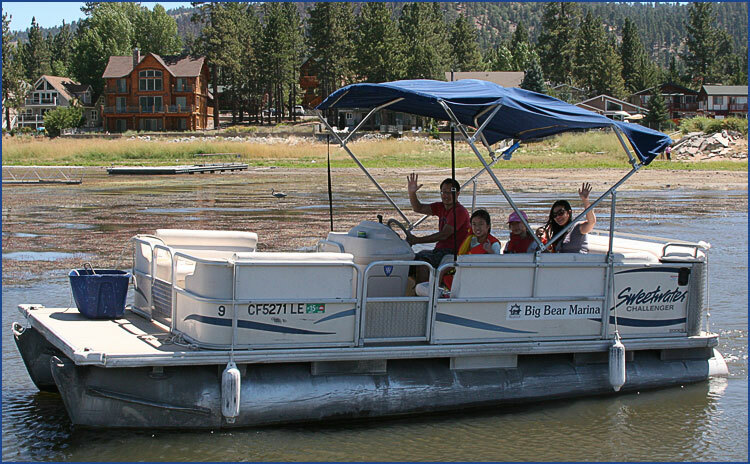 Big Bear Marina offers an extensive rental fleet from Pontoon Boats to Fishing Boats, Waverunners, Kayaks and Stand Up Paddle Boards for any type of fun you desire on the lake. 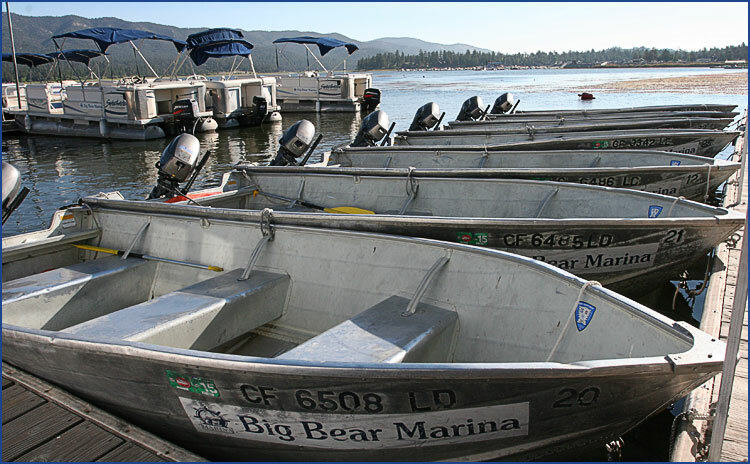 Big Bear Marina offers an extensive rental fleet. 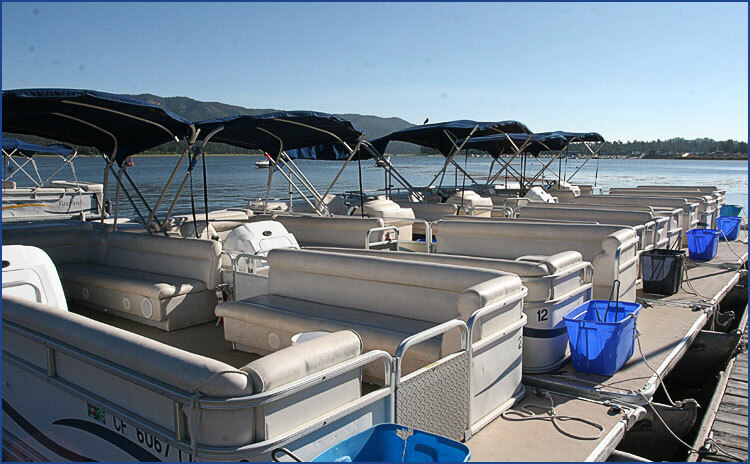 Our pontoon boats can accommodate up to 12 people, and feature quiet efficient 4 stroke outboard motors. And pets are welcome. *Additional fees apply for lost or damaged property. Our 14 foot aluminum fishing boats have 9.8 HP 4 stroke motors for your basic fishing needs. The most fun you can have on the lake! We feature new Yamaha VX 1100 3-seater Wave Runners, so you can enjoy the ride with family or friends. You must be 18 years or older to drive. Renting a Yamaha jet ski today is so easy! 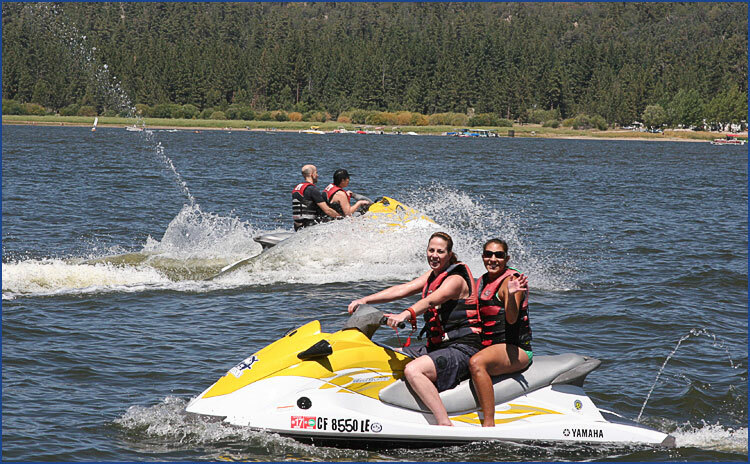 Just come by our location and we will get you set up so you can be out on the water enjoying an exhilarating ride. 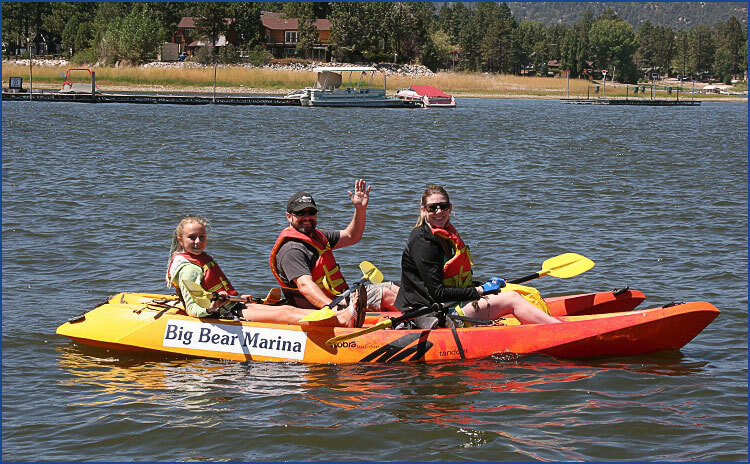 We offer kayaks for those who prefer the quiet solitude of the mountain lake with a little exercise. We are an authorized dealer for Cobra Kayaks. So if you're in the market for a nice, affordable kayak, please come talk to us. 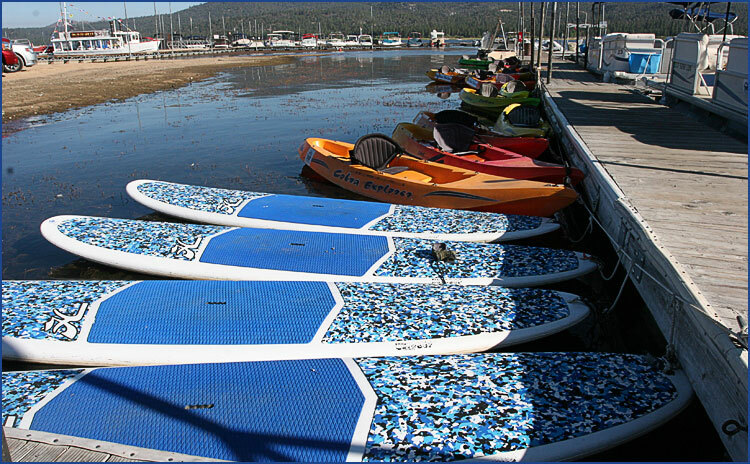 We offer Hobie 11' 4" SUP Paddle Boards for rent. You've got to try these out!